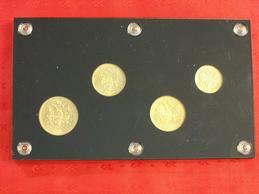 You are looking at a unique and rare set of four (4) Imperial Russian gold coins. These set of coins comes from an outstanding collection we just purchased from an estate sale. 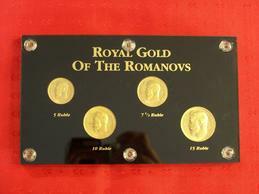 The set contains 1900 5 Gold Rouble, 1900 10 Gold Rouble, 1897 7.5 Gold Rouble, and 1897 15 Gold Rouble. 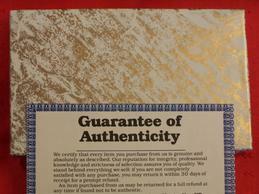 This set comes with a certificate of authenticity and a presentation box. 1897 7.5 Rouble and 1897 15 Rouble are only one year issue and limited quantities. 1900 5 Rouble and 1900 10 Rouble are key date and limited mintage. Fantastic coins, unique opportunity, great investment. Do not miss a chance of a lifetime! Russian Imperial gold coins is a great addition to any collection or investment portfolio, not just for its brilliant content but also for its popularity with collectors.